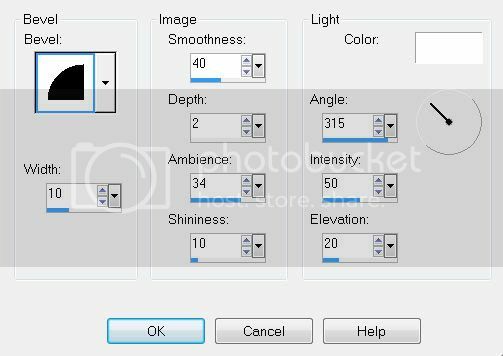 Clicking on the image will take you to the tutorial. 1 tube of choice - I’m using the wonderful artwork of Elias Chatzoudis which you can purchase here. “Endless Love” is a PTU tagger size scrap kit created by Jen of C.C. 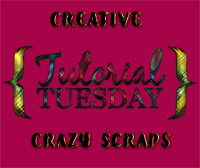 Creationz and can be purchased from her store Scrappin‘ Dollars. Thank you Jen for this beautiful kit that sent my mojo into action right off! Copy and paste Frame 1 as a new layer. Use your Magic Wand and click inside of each frame. Copy and paste a paper of choice Into Selection. Using the Nashville font type out the words “Hippity Hoppity” and position over the top of the frame. Type out “Look who‘s on his way“ and position at the bottom. Apply the same inner bevel. Add your name using the SwingSet font. Give it the same inner bevel. I’d love to see your results and show it off in my gallery.